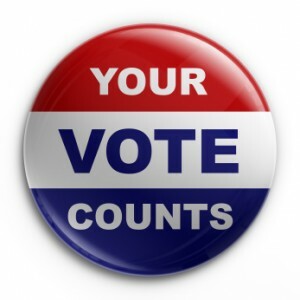 Early voting in the Texas elections for state legislators — representatives and senators — is October 20-31, and election day is on November 4, 2014. 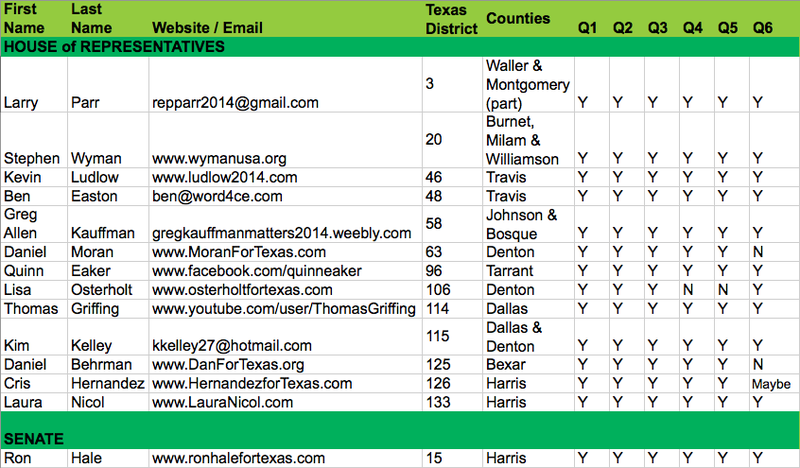 Farm and Ranch Freedom Alliance sent a questionnaire to all of the candidates for whom we could find email addresses. We provided a brief background on some key issues, and asked six questions. Below is a table showing each candidate’s response to these questions. If a candidate did not respond to our questionnaire, we have not listed him/her in this chart. After the chart are links to PDF files of the candidate’s responses for those who provided additional comments. Q1: Would you support reforms such as simplifying the regulations imposed on small-scale producers and creating an ombudsman position to help producers understand the requirements? Q2: Would you support capping the fees imposed on small-scale local farmers and food producers? Q3: Would you support a “home processors” bill to allow additional foods to be made in home kitchens, as well as allow for wholesale sales, such to a reasonable regulatory and inspection system? Q4: Would you support a bill to provide fair application of agricultural valuation laws to these farmers, subject to the normal requirements that the primary use of the property be agricultural and of the required intensity of use? Q6: Would you support a bill to require labeling of GMO foods that are sold in Texas?